With a variety of talented members exhibiting their work in an array of mediums, styles and compositions, this dynamic showing of local and regional artists is sure to create an environment of juxtapositions and kinships. Featuring the work of WPCA members, this salon-style exhibition takes a broad look at what is being produced in the contemporary Milwaukeeand regional art scenes. For years WPCA has hosted itsAnnual Members Showin gratitude of those who have sustained the organization and as an opportunity for emerging and established artists from the area to converge, share ideas and generate dialogue. Work must be original and created within the last three (3) years. 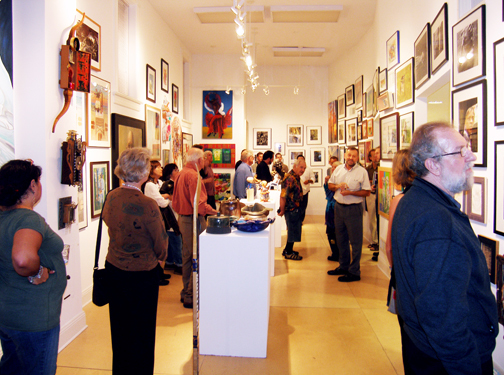 Artists participating in WPCA’s Annual Member Show must be current WPCA members to exhibit. WPCA would like to invite you to become a member and in turn receive postcards for upcoming exhibitions in addition to obtaining the opportunity to exhibit work in our Annual Members Show every September. Higher membership levels provide further benefits including discounts on artwork and previews for gallery exhibitions and special events. Visit our website and donate today! 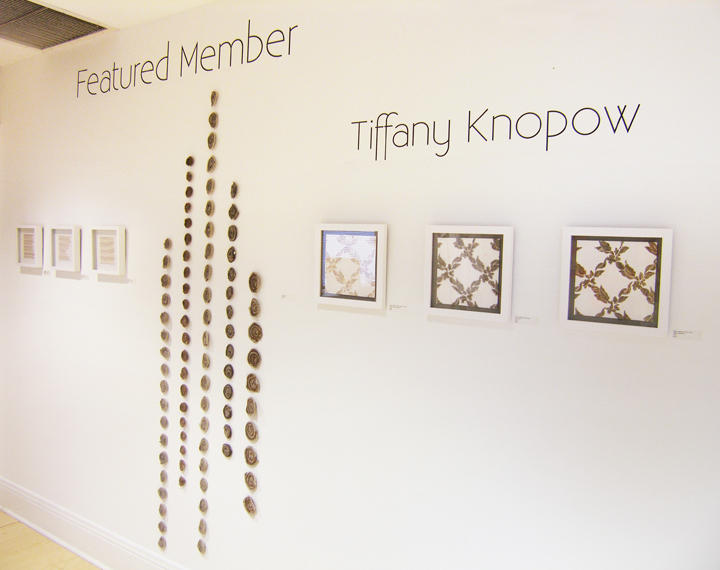 WPCA is proud to offer an additional benefit for our members, our Featured Member Exhibition Series. Artists are juried from the body of work included in WPCA’s Annual Members Show and accepted artists are asked to display their work for up to three months with an opening reception during Milwaukee’s Fall, Winter, Spring and Summer Gallery Nights! 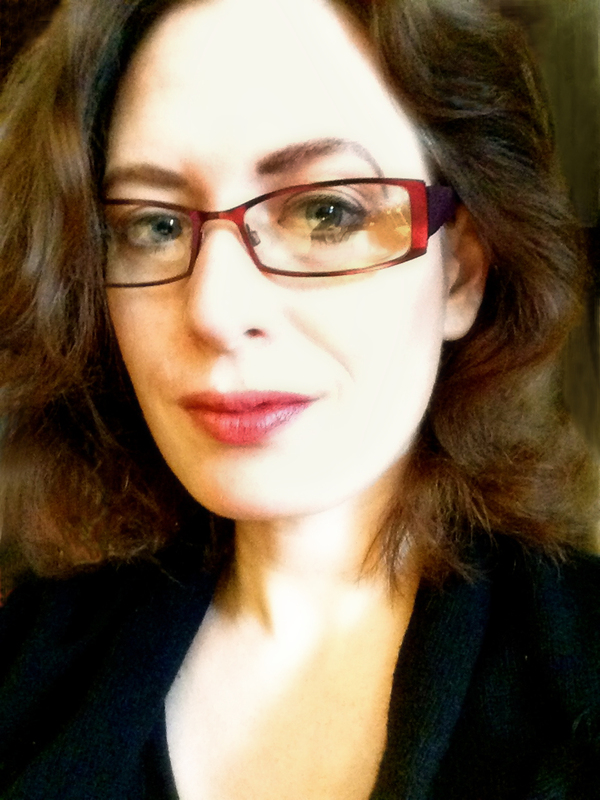 Katherine Murrell is a lecturer in art history at the University of Wisconsin- Milwaukee, the Milwaukee Institute of Art & Design, and other area colleges. She has written for a variety of Milwaukee area publications and is Visual Arts Editor for the online culture magazine, Third Coast Daily. This is a non-juried exhibition featuring the work of WPCA members, displayed salon-style in the East and South galleries. In the event that we are unable to accommodate all submissions, the exhibitions committee will select at least one of the total individual’s entries to be included in the exhibition. Should this happen, the artist will be notified and asked to pick up the remaining work no more than one week after notification. A commission of 20% will be taken on all works sold during this exhibition. Work not picked up within 30 days after exhibition close will become the sole property of WPCA. Alternative arrangements for special pick-up or delivery must be scheduled in advance. You may submit up to 3 pieces. A diptych will count as two pieces, a triptych will count as three pieces. Work must not exceed 5 feet in any direction. NO EXCEPTIONS. You may submit up to 2 pieces. Excessively heavy or large sculptures should be installed by the artist. A limited number of pedestals are available for 3-D work and therefore display of more than one sculpture on a 2’ x 4’ pedestal may be required. These forms must be completed and include information in all requested fields. PLEASE PRINT CLEARLY, we rely on your information being legible and accurate in order to prevent errors. Please securely attach an entry form to each work entered in the exhibition. Any work without proper labeling will not be included in the exhibition. An agreement form will be available upon work drop-off. All work must be complete and prepared for gallery viewing. 2-D work should be framed (if applicable) and equipped with hanging wire of sufficient strength to safely support the work. If the work requires special installation, we require additional instructions from the artist and encourage the artist to be present during installation. If the work is excessively large or heavy, the artist must install the work. Any incomplete entries (e.g. no hanging wire) or wet paintings will not be accepted. WPCA retains a 20% commission on all sales. Please price your work accordingly. If your work is not for sale, please write “NFS” (not for sale) in the “Value/Price” section of the entry form and list the value of the work. The value must be provided for insurance purposes. Dropping Off Work Work must be dropped off during the dates and times listed in the “Exhibition Calendar” section. Because of the substantial amount of submissions for this exhibition, late entries will not be accepted. If you are unable to pick pick up your work during the dates/times listed, you must contact Mary Overman at maryo@wpca-milwaukee.org or 414.672.2787 ext. 13 to arrange a work pick-up date PRIOR to Saturday, October 5th. Please remember that if work is not claimed it will become the property of WPCA. Local Youth Exhibit Summer Creations!